Many thanks go out to Toon Spanhove, Jurgen Dewolf, Davy De Groote, & Johannes Jansen for pre-trip information! Amila Salgado of Birdwing Nature Holidays gave us some good advice and details on the spot. A set of my bird sound recordings of this trip can be found at Xeno-Canto. Arrival at Colombo Airport + travel to Sinharaja NP (bus to Ratnapura 3,5 hrs, bus to Kalawana 1 hr 45', tuktuk to Kudawa 45'). Night in Kudawa. Birding Sinharaja NP (outside NP, near Kudawa village). Night in Martins Simple Lodge. Birding Sinharaja NP (inside park). Night in Martins Simple Lodge. Birding Sinharaja NP (inside park + walk down to village). Night in Kudawa. Birding Sinharaja NP (outside NP, near Kudawa village). Night in Kudawa. Birding Sinharaja NP (outside NP, near Kudawa village) + travel to Nuwara Eliya (private car 5,5 hrs). Night in Nuwara Eliya. 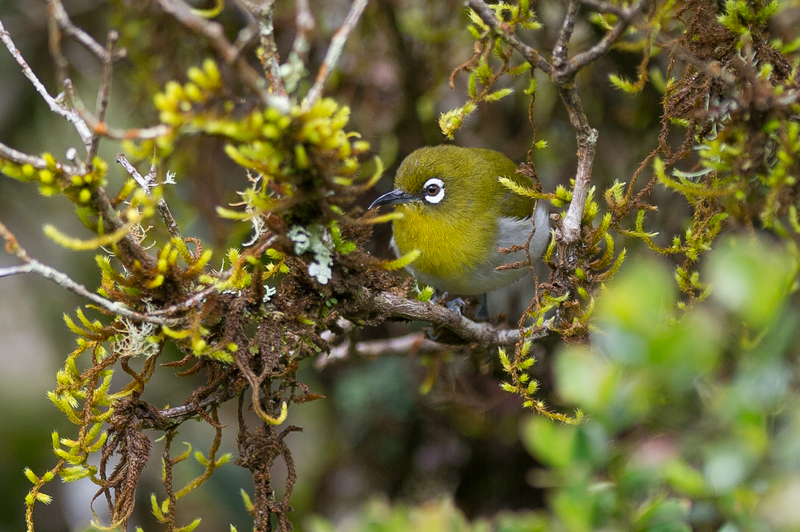 Birding Horton Plains NP (private car 1hr drive one way) + birding Victoria Park. Night in Nuwara Eliya. Birding Victoria Park + birding Surrey Bird Sanctuary (private car 30') + travel to Bibele (private car 4 hrs). Night in Bibele. Birding Nilgala Forest. Night in Bibele. Birding Nilgala Forest + travel to Udawalawe (private car 3,5 hrs). Night in Udawalawe. Birding Udawalawe NP. Night in Udawalawe. Travel to Tissa (bus to Tanamville 1hr, bus to Tissa 1 hr, bus to Kirinda 30', tuktuk 15') + birding Yala NP (outside park). Night in Kirinda. Birding Yala NP (inside park). Night in Kirinda. Birding Bundala NP (private car 1 hr drive) + travel to Mirissa (bus to Matara 2,5 hrs, bus to Mirissa 30'). Night in Mirissa. Relax in Mirissa. Night in Mirissa. Whale watching trip off Mirissa + travel to Colombo (bus 2,5 hrs) + departure from Colombo airport. Note: Our initial itinerary changed somewhat as we (i) had problems when night birding at Sinharaja, see below, (ii) gained some extra time reducing the transport time budget using a private car in the middle of the trip and (iii) we suffered poor weather in the Nuwara Eliya area and the whole south east. We used the extra time to include Udawalawe NP as an extra birding site and needed 1 spare day at Mirissa as the whale trip was cancelled on the first day due to weather conditions. Most of the time we used public transport to get around. It was often fairly easy and extremely cheap! Most cities have obvious bus terminals whereas transport hubs in smaller towns seem to grow organically. Most buses are rather basic, but some more luxury/direct coaches can be found to travel between the larger cities. Taxis were also frequently used, but the main local transport was done by tuktuks (motorized three-wheelers). Via Amila Salgado of Birdwing Nature Holidays we were able to get a private car and driver for a reasonable price. We used this service for the middle part where travel distances were supposed to be long and camplex and where we would need a private car on the spot anyway (Horton Plains & Nilgala Forest). This saved us some travelling time and the hassle with changing buses and arranging early morning local transport. In hindsight I wouldn't recommend this for the independent traveller as it is not really necessary though clearly more expensive. Accommodation was easy to find throughout. As most birding sites are within the tourist routes, we often found a good range of hotels from cheap to more luxurious places. In Sinharaja NP the most convenient place to stay as a birder is the simple but pleasant Martins Simple Lodge, more top-end hotels are found at quite a distance from the park. In general the accommodation is fairly cheap, but often somewhat basic and outworn. Food was excellent throughout and extremely cheap along the road. The 'normal' food is always spicy, make sure to ask a milder meal if you don't like it. Sri Lanka (like India) is a true heaven for vegetarians. In all cities there are ATMs and we had no problems while withdrawing money. On our trip, only for the Sinharaja part we had to make sure to bring sufficient cash (no ATM). In most other places the larger hotels will also accept the major foreign currencies as there are many tourists. We encountered no health problems. Travelling independently caused no safety problems at all. We very often ate out on the street and didn't suffer the travellers disease. As Malaria is very rare in Sri Lanka, we were not advised take any prophylaxis (reference: Institute of Tropical Medicine). It is possible to get your tourist visa on beforehand through the official Electronic Travel Authorization System. It saves some time when arriving at the airport, but it seemed possible to do it at the spot as well. Most plugs encountered were type D, which are directly accessible for the standard European plug. Best to bring your travel adapter. Read more at the Worldstandards website. Below is a list of the sites we birded. To gather additional information www.cloudbirders.com was consulted for bird trip reports. Especially the reports of Jacob (2012), Marques (2012) and Spanhove (2012) were very useful! This national park in the south west of the country holds a very good portion of all the island endemics. We took a bus from Colombo to Ratnapura (3,5 hrs), next one to Kalawana (1 hr 45') and then a tuktuk to Kudawa (45'). The first night and at the end of our stay we were based in the small village of Kudawa, but the best place to stay is definitely Martin's Simple Lodge. One can start birding right at the balcony where the magpies are hop around while having breakfast. In the village of Kudawa Martin has a second (new) hotel. When coming from the village, there are 2 ways up. If you cross the main bridge (6.440944, 80.420996) you can take the road to the left which is paved and you can drive up to the ticket office (6.435845, 80.419155) - from there on it continues a dirt track. If you keep right at the bridge, the unpaved jeep track can be accessed by 4WD vehicles and goes up to Martin's Lodge (6.431494, 80.414767). Eventually both tracks meet at the entrance gate of the park. For people on foot, it might be useful to know that next to Martin's Lodge there is a short-cut to get from the jeep track to the other dirt track towards the ticket office. To get tickets/guides or walk down, this is by far the faster way. The entrance to the park itself (6.429673, 80.413877) is only a little but further than Martin's but is gated and a guard is round. To enter the park properly, a guide is compulsory. To find one, it is necessary to walk down towards the ticket office which opens only at 6.30 am. It seemed impossible to have a guide earlier in the morning or buying the ticket for us. They really wanted us to walk down, loose time and get a random guide. The guides are scheduled in a rotating scheme, so you need to be lucky to get a good one. Fortunately we ended up with Ranjith who knows his birds and stake-outs very well, speaks sufficient English, but was somewhat too pedantic. The best birding is within the park where you can walk the dirt track towards the former research station (6.416681, 80.42364) and some smaller loops nearby. Most of the target species were found readily. Just outside the gate, both towards Martins as towards the ticket office, the forest is good as well but birding is slightly more difficult due to the noise of the nearby river. When taking the jeep track down for about 1km, there is a good site for the spurfowl at 6.437727,80.416102. We also birded the area near the village of Kudawa. The better part was along a dirt track that forks of left just before main bridge (gps see above) and runs towards some settlements. When wet, the forest is full of leeches which can be annoying. It is possible to buy leech socks (basically cotton bags) in the village. The scenic highlands of this national park are a beautiful and easy accessible site for the higher elevation country endemics. Like most people we stayed in Nuwara Eliya as there is no closer accommodation. There is a wide range of choice. From the city you should have private transport to go up and make some road stops for birding. The winding drive up to the entrance gate takes about 1 hour (only 28 km) (6.839297, 80.812135). It opens at 6:00 am and you should buy tickets there - no guide needed here. The first roadside stop is at the famous Arranga pools (6.831363, 80.807164), being a stake-out for the whistling thrush. It is about 1 km past the gate. The bird(s) area said to visit the pools early morning and/or late afternoon, so make sure you leave on time. We birded along the main road on both sides of the pool. Another pool worth to check might be at 6.833633, 80.809007. Some kms further on there the headquarters and a parking lot (6.802229, 80.806765). From there one can make a 7km long loop trail that leads to the famous viewpoint 'World's End' (6.779981, 80.794015). When you have clear skies, the view is said to be spectacular, but clouds often roll in quickly. At the start we took the left side (going straight to World's End) as this part leads you through decent elfin forest for birding. The second half of the loop winds through grassy areas and passes a waterfall. Highlights: Sri Lanka Bush-Warbler (only 1 bird seen near the Arranga Pool and 1 heard along the World's End Trail - we didn't search for more), Sri Lanka Wood-Pigeon (at least 3 seen and some more heard along the World's End Trail - difficult to see with poor visibility), Sri Lanka White-eye (easily seen good numbers), Yellow-eared Bulbul (good numbers), Dull-blue Flycatcher (1 bird near the Arranga Pool), Hill Swallow (several birds seen foraging above the grasslands). A Leopard was seen crossing the road calmly only some 15m away - while on foot! - just next to the Arranga Pool. In the very heart of Nuwara Eliya Victoria Park is a famous birding site. The star birds are the annually wintering Pied Thrush and Kashmir Flycatcher. The ticket office is along the Udepusselawa Road (6.967242,80.768716). The gate only opens at 6:30, but you can ask the guard to enter earlier, leave for e.g. an identification document and pay afterwards. Birding is very straightforward. We visited the park on 3 occasions: the early mornings are clearly better. The better area to look for skulking species is behind the ladies toilets at the NE site of the park (6.970720, 80.768923). Highlights: Pied Thrush (brief views of 1 bird flying high up in the trees on the first day, the last morning we had excellent views of 2-3 birds near the ladies toilets), Kashmir Flycatcher (1 breeding plumage male seen on 2 consecutive days near the stream at ), Yellow-eared Bulbul (a few bird were around), Sri Lanka White-eye (small numbers only). Within the city limits of Nuwara Eliya there is a reliable site for the whistling-thrush. To get there you need to drive to the famous St. Andrew's Hotel. In a sharp bend along the Waterfield Drive road park and take the trail at 6.981049, 80.765329. From here you just follow the steps about 100m until you reach a small dam. Higher up is another larger basin and the trails ends there. Highlights: Sri Lanka Whistling-Thrush (a male gave good views at the second dam at 6.982121, 80.765755). This former tea estate is now a smallish private area next to a holiday resort where birders are still welcome for a small entrance fee. It is still a reliable spot for the wood-pigeon and the wood-owl day roost. It is only about 23-24 km SE of Nuwara Eliya just before the village of Welimada. Take the turnoff (6.901431, 80.902028) and follow for ca 150m where you can turn left and you'll hit the building (6.899202, 80.900719). The friendly staff can help you finding the owl. Highlights: Sri Lanka Wood-Pigeon (3 birds were seen in the small forest patch near the resort), Dull-blue Flycatcher (a single bird gave good views behind the resort, close to the owl roost), Brown Wood-Owl (a single bird was found on it's day roost at 6.898993, 80.901682). We mainly birded along the main road between km post 17-20 where Spanhove et al. saw the francolins as well as a small track (7.238607, 81.3173) leading to some settlements. Another area we also explored on 2 occasions was an entrance road towards the Gal Oya NP. Take the turnoff to the right just past the police station (7.250264, 81.344789) near km 22. After some kms the area becomes more suitable and we think it is the same as described by Hornbuckle and Herv�. We continued and crossed the river (7.218372, 81.3591) which is the boundary of the National Park. From there onwards the forest is clearly more protected and suitable for the francolins. Highlights: Sri Lanka Woodshrike (daily good numbers seen), White-tailed Iora (daily observations of single birds or small groups, 7 in total - the easiest seen at 7.23743, 81.315604). As we had some extra time to spend, we added this national park to our itinerary. It is only a slight detour travelling from Bibile to Tissa and took us only about 3,5 hrs with a private car. We stayed in a basic hotel in the village of Udawalwe itself, but other (and more top-end) is available near Embilipitiya. The park entrance gate (6.438517, 80.888835) is situated along the Thanamalvila Road about 7 km East of Udawalawe village. About 200m further op is the ticket office where you need to pay the park entrance fee (quite expensive) and you can get a guide there, not sure if it is compulsory. To enter the park, you need to rent a safari truck that takes you around. It can be easily rented as all hotels seem to have multiple cars - it is expensive tough! There were far less tourists around here compared with Yala NP. Highlights: Malabar Pied-Hornbill (in total we saw 50+ birds, most of them perched out in open in large dead trees), Tricolored Munia (regularly seen small flocks, totalling up to 30+ birds), Gray-bellied Cuckoo (fairly commonly seen). We easily saw 50+ Elephants, often at very close distance. We travelled by bus from Udawalawe NP towards the junction with the A2 in Thanamalwilla (1hr) and took another bus to Tissa(maharama) (1 hr). Instead of staying in Tissa we moved on by bus to Kirinda (30 min) and took a tuktuk towards the park's entrance. In the coastal scrub some there is some isolated accommodation of which we choose Camp Teru (6.23833, 81.367404). The turn-off is poorly signposted (6.240205, 81.363343) and is about 7km from the park entrance. We do not highly recommend this place, but it is situated in a nice setting, the garden and nearby lagoons are birdy and the place is probably one of the cheaper options in this area. The staff barely speak English but are friendly and helpful. They can make all necessary arrangements for safari trips to Yala and/or Bundala NP. On foot we explored the area next to our accommodation and found the pratincoles at the large lagoon (6.252281, 81.370456) on the way to the park entrance. The scrubby area near the turn-off to Camp Teru (6.240181, 81.364092) was good for nightjars. To enter the park, you need to have a safari truck (probably each hotel can book one for you). At the ticket office (6.279459, 81.401503) you need to pay an expensive entrance fee and you can get a guide there as well. Birding is done from the open safari truck and there are only few places where you can get out. Highlights: Small Pratincole (4 birds at the large lagoon just outside NP, gps see above), Gray-bellied Cuckoo (5+ birds seen), Malabar Pied-Hornbill (we only saw 2 birds flying by), Sri Lanka Woodshrike (2 birds only). A Leopard and some Elephants were seen here as well. This coastal wetland park is a Ramsar reserve and boasting with waterfowl. Again: to enter you'll need a safari truck. The entrance (6.198987, 81.21056) is very close to the A2 running between Tissa and Hambantota, but can also be reached using smaller roads when coming from Kirinda, like we did. The weather was horrible again, so we only had some roadside birding on the way to the park. The wetlands and rice paddies were full of birds. One water tank (6.197122, 81.28155) had some tall grass vegetation and should still hold a colony of Streaked Weavers. Highlights: Streaked Weaver (1 distant bird was briefly seen in the tall grass of the above described tank). There are loads of companies that can take you out, but not all have the same quality. We used Mirissa Water Sports and it was the company that stayed out at sea the longest time, didn't join the aggregation of other boats too much and had good services overall. The harbour is close to the village (5.946845, 80.449982). Highlights: Not much seen here birdwise apart from some terns and noddies. The highlight however were Blue Whales and Bryde's Whale.